Natural Several Gems with certificate - De website van dktresor! Contact us by the contact form. for the price or do a bid! 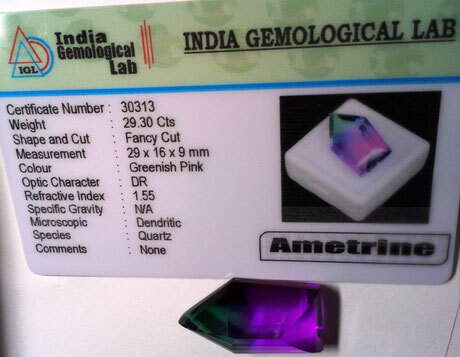 Unbelievebele fancy cut greenisch pink 29,30 crt Ametrine Natural made from Ametist and Citrin. Welkom in the magical world of Gems. You can buy this Gem for only 195,- euro including shipping around the world. 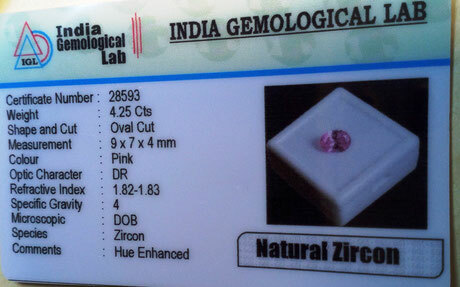 This perfect oval cut Natural zircon 4,25 crt its a fine gem. 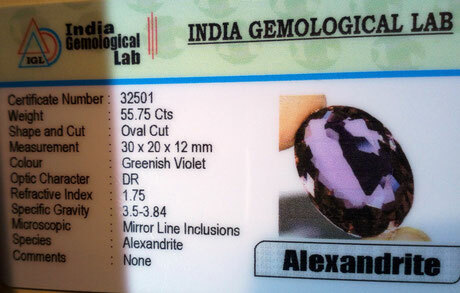 Alexandrite is a very rare (and very expensive) variety of gem-quality chrysoberyl. 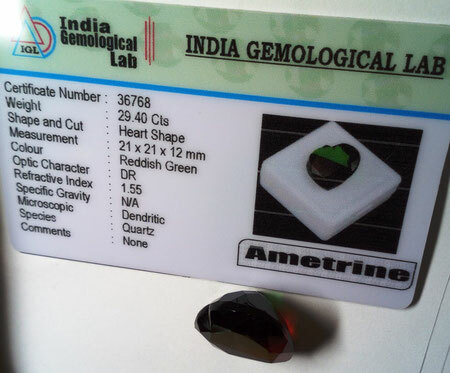 Although most people have probably never seen a natural alexandrite, this gemstone has replaced the traditional pearl as the modern June birthstone. Its glamorous history and beauty have likely contributed to its mystique in the public imagination. 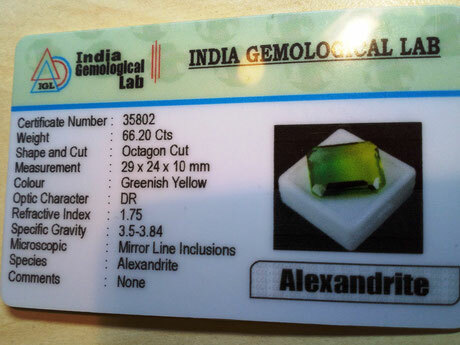 Alexandrites are well-known for displaying one of the most remarkable color changes in nature. “Emerald by day, ruby by night,” the most desired and well-cut stones are green in sunlight and red in incandescent light. 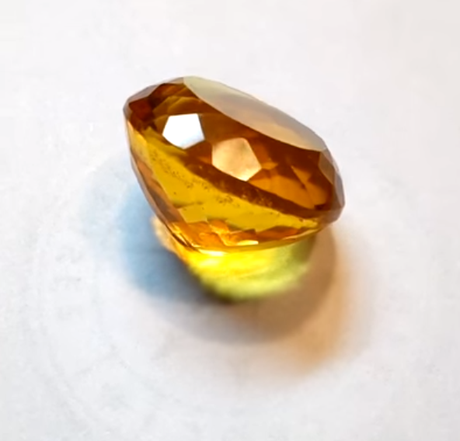 This is an excellent jewelry stone (if you can acquire one). 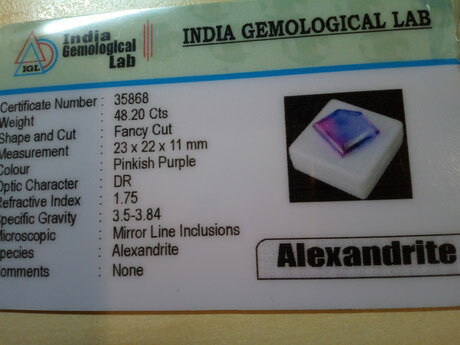 Very beautiful and Rare Natural Alexandriet big 55.75 crt. IF you now about Gems you now this is rare! 30 x 20 x 12 mm colorchance bij daylight to greenish. Click the certificate to watch the violet video. Click on de Certificate and see for yourself. 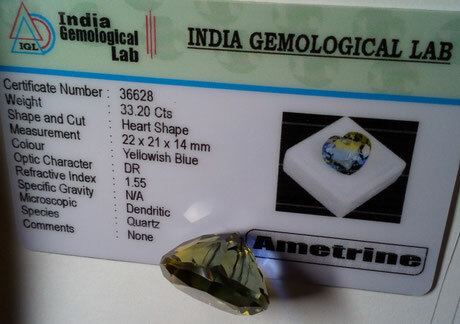 Mega big, beautiful rare octacon Cut, 66,20 Carat, VS Clarity with some natural line inclusions, Color Greenisch Yellow. If you see this video, you now why you never more can buy from a picture. A kind of Kristmas Gem this excelent heart Shape red green beauty. 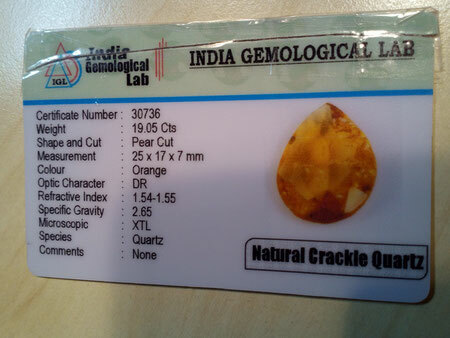 By unpacking i cut the certificate by accident but, A nice gemstone of crackle Quarts 19,05 ctrs. de video has a nice crackle sound Click the certificate to watch. with some inclusions citrine/amethyst Natrural Ametrine. 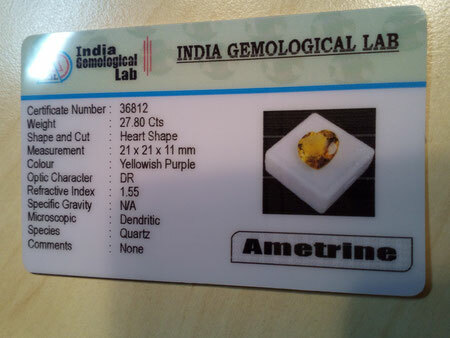 27,80 crt, large heart shape, Click on de Certificate and see for yourself. 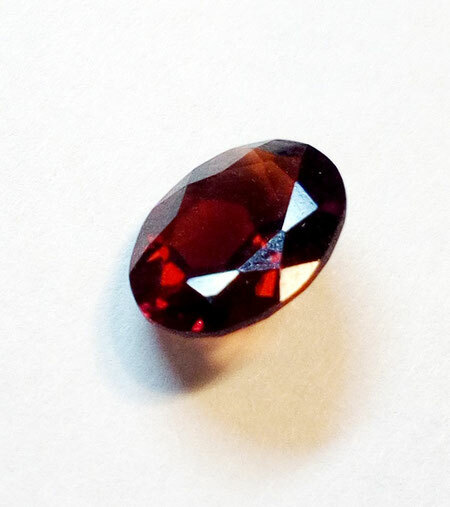 Red garnet cusion cut gem. Click on the picture for a video. 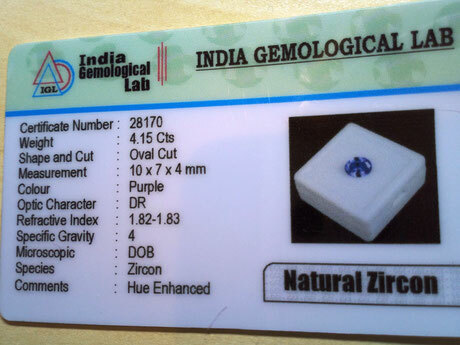 Perfect natural 4,15 Carat Zircon, Color purple, great oval Cut, the best VVS Clarity. 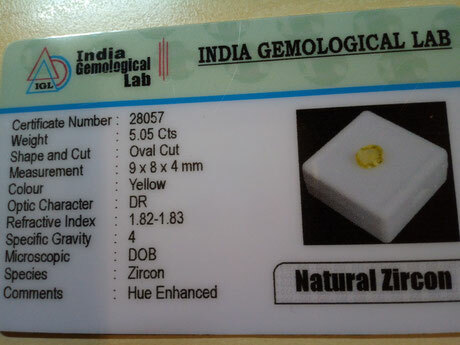 Zircon. The name derives from the Persian zargun meaning gold-hued. Of course, this is part of our range. If you have any preferences please ask us and if we can meet, we will make a good price.